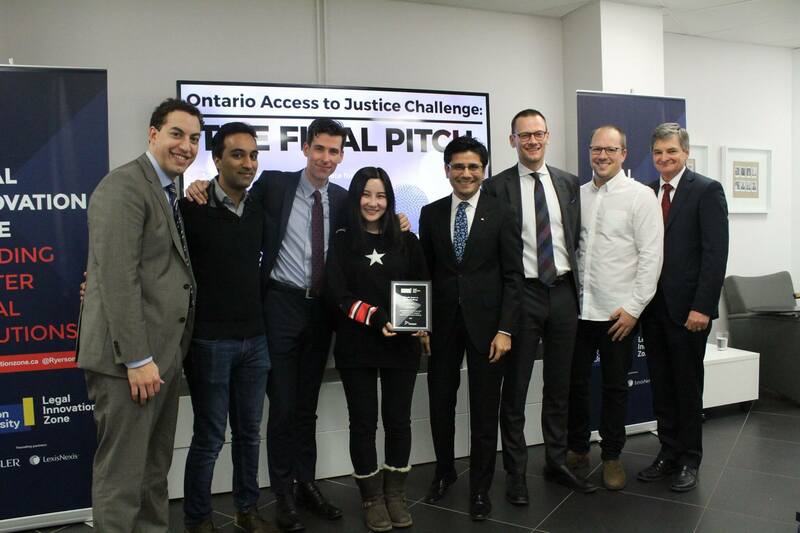 Yesterday, we were thrilled to be selected as the third-place winner of Ontario’s first Access to Justice Challenge. We are honoured to receive this award and be part of the community of innovators working every day to reduce the barriers faced by the vast majority of people and businesses seeking help with legal issues. If you’re unfamiliar with the “A2J Challenge”, it started back in June of this year. The Ministry of the Attorney General issued a challenge to Ontario’s tech and startup community. The justice system desperately needs new and innovative ways of accessing legal resources and the government wanted startups to build solutions. So a partnership was formed with the Legal Innovation Zone at Ryerson University which hosts roughly two dozen tech companies that are actively building faster, simpler, and more affordable legal services. The judges had a difficult job, and we’re very grateful for receiving 3rd place, including a grant of $10,000. We want to congratulate ParDONE and Legally Inc. for, respectively, winning first and second place prizes of $25,000 and $15,000. Along with our friends and colleagues at Notice Connect and Codify, all of the finalists will continue to build tools that will significantly benefit Canadians who face huge challenges in accessing legal resources. Massive thanks goes to the Attorney General of Ontario, Yasir Naqvi, and his whole team for spearheading this initiative. We hope this becomes an annual event for legal innovators in Ontario, and we can’t wait to see the results of future challenges.